Last Sunday took my bicycle and went up to to the mountain behind Dumaguete to go and see how have recovered the areas hit by the typhoon Sendong in December 2011. On the way up I saw this lady walking back home from a nearby market with a shopping bag. 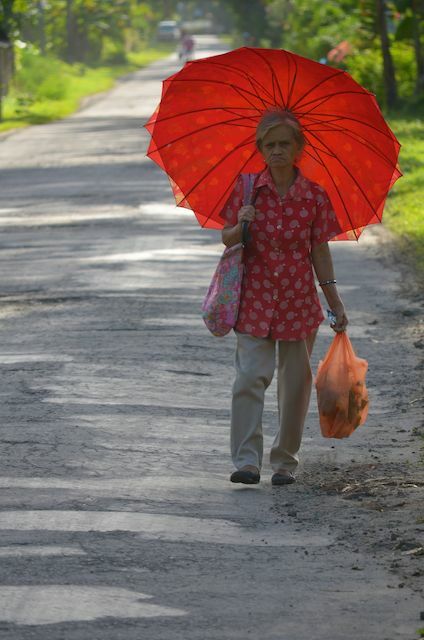 I liked her shiny red umbrella.